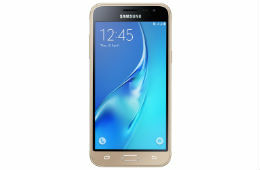 Samsung India on Saturday announced the availability of "Samsung Galaxy J3 Pro" On Flipkart. Price at 7,990 Galaxy J3 Pro available in a three vibrant color variants gold, black, and white and it will go on sale at Flipkart from 29th May 2017 at 00:00 AM. As with other J series smartphones, Galaxy J3 Pro also comes under "Make in India" campaign and offers S Bike Mode, Ultra Data Saving Mode(UDS) that helps to save data and can reduce data cost upto 50%. Flashing Light On the Launch, Mr. Sandeep Singh Arora, Vice President, Online Business, Samsung India, said "The Galaxy J3 Pro delivers powerful performance, outstanding display and also packs in consumer centric features developed at our R&D centers in India. This launch will give Flipkart consumers the opportunity to buy ‘Galaxy J Series’ which is the largest selling range in India"